Naturally, we ordered off their "Da Lang" menu (late night smaller dishes served with congee). Large and plump, the Fried Smelt was pretty good. 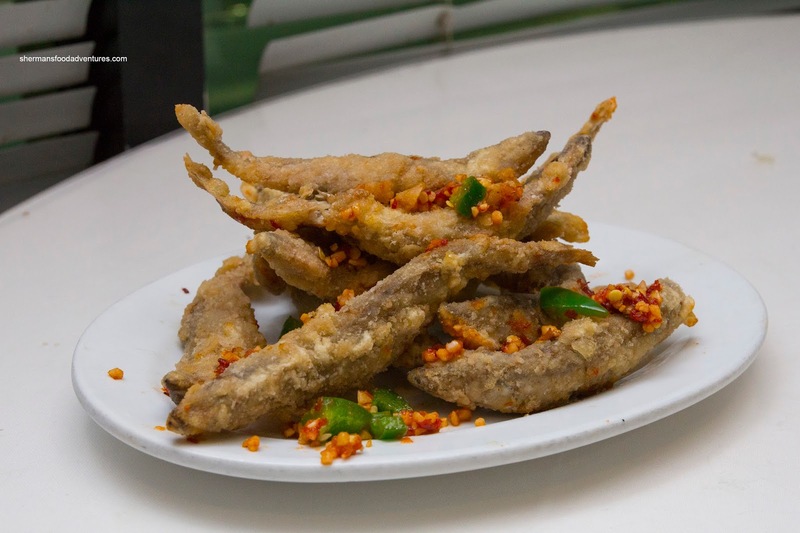 Due to their size, the smelt retained a certain moisture which meant it wasn't dried out. With the good amount of roe, there was an appealing texture and taste of the sea. The exterior was not as crispy as I would've liked but it was laced with chili, garlic and salt. 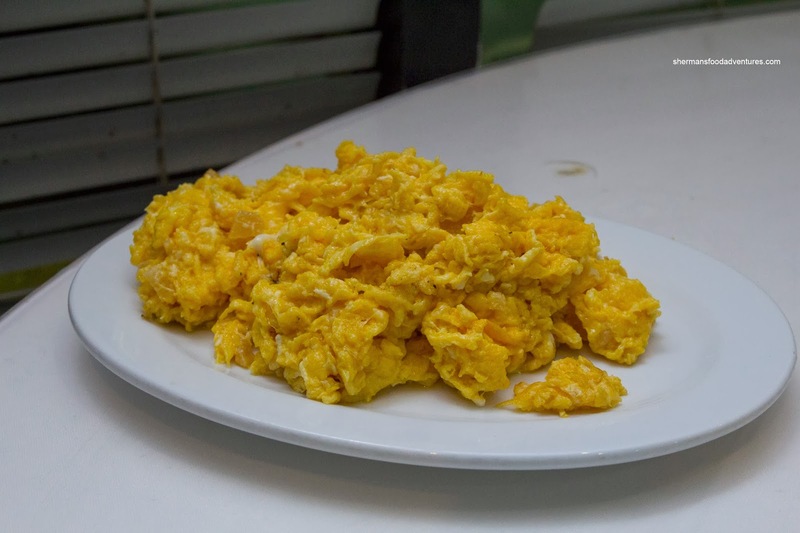 Next, we had the Scrambled Eggs with Turnip. This was suggested by the server and it was enjoyable to eat. The eggs were fluffy and not overly greasy while the bits of pickled turnip added little surprises in each bite. What I would've liked to see was even more of it as we were having plain congee. 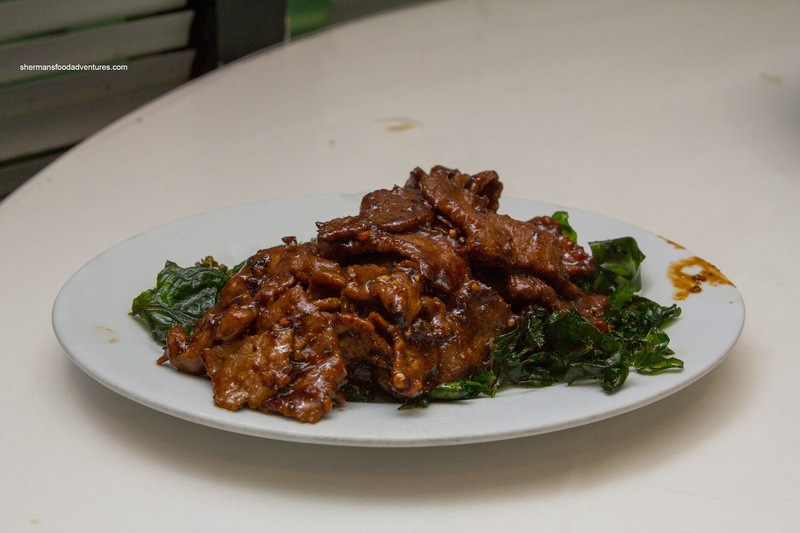 On the other hand, the Chili Pepper Beef was bursting with flavour. The combination of black beans, chili sauce and soy ensured there was a salty-spicy thing going on which naturally went well with the congee. As much as the beef was tenderized, it wasn't overly so. Hence, there was still a slight chew which was fine in my books. Lastly, we had the 4 Seasons Beans. Again, this was well-seasoned with chili, garlic, ground pork and soy. 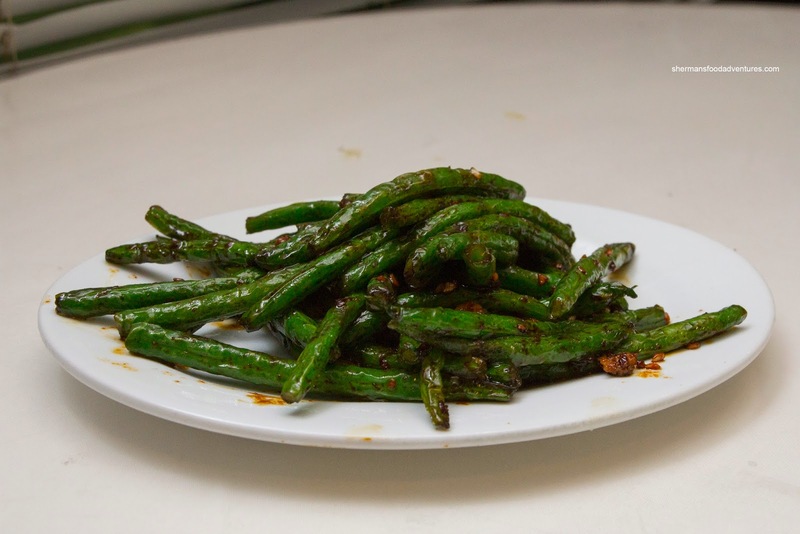 I found the flash-fried green beans to be slightly past done though as they lacked a snap. However, this was only criticism I had about the dishes we tried. 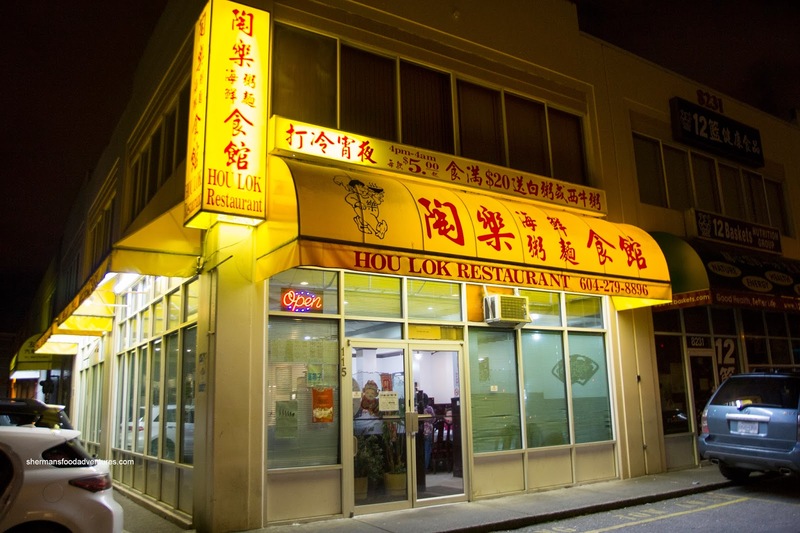 Along with the previous visit, the food at Hou Lok is pretty solid, especially for late night eats. - Cleaniness is not next to Fordiness here.